Cutting tool materials with the Tiger-tec® technology brand are setting the standard in machining again and again, in terms of productivity and process stability. With the new cutting tool material Tiger-tec®Silver, the engineers at Walter have moved another great step closer to the ideal cutting tool material. 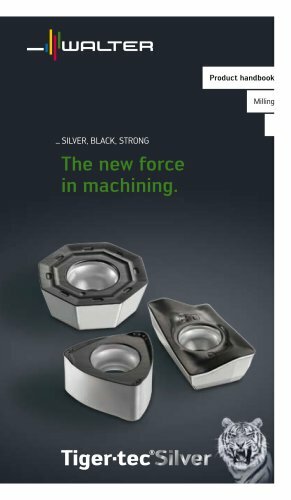 Tiger-tec®Silver is ideal for dry and wet machining of steel and cast iron materials, and is at home in important key sectors: the automotive industry and rail vehicle manufacturing, power engineering, the aerospace industry, mechanical engineering and in mould and die making.